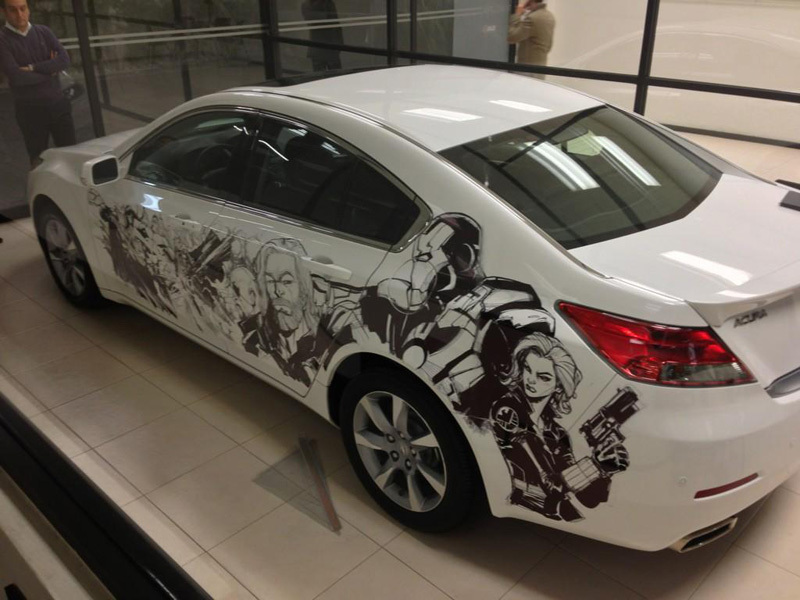 We’ve seen the Acura TL in Marvel’s film The Avengers, but with this special car, we see the Avengers on the Acura TL. 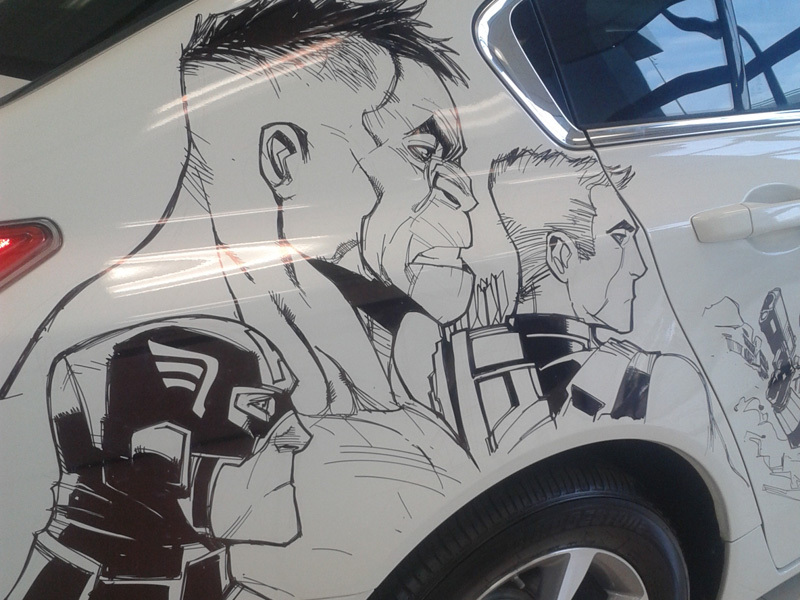 Clearly this isn’t a S.H.I.E.L.D. 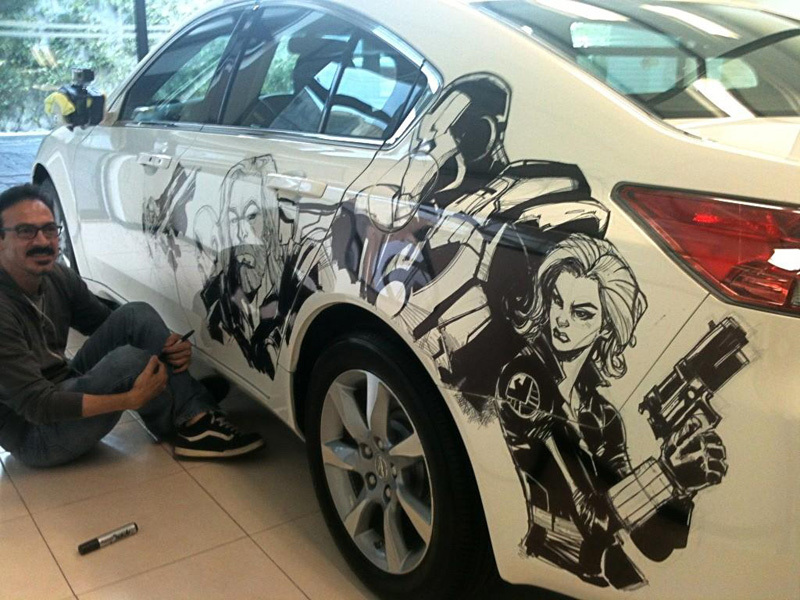 Edition Acura TL, this one of a kind TL features Avengers character artwork hand-drawn by talented comic book artist Humberto Ramos. 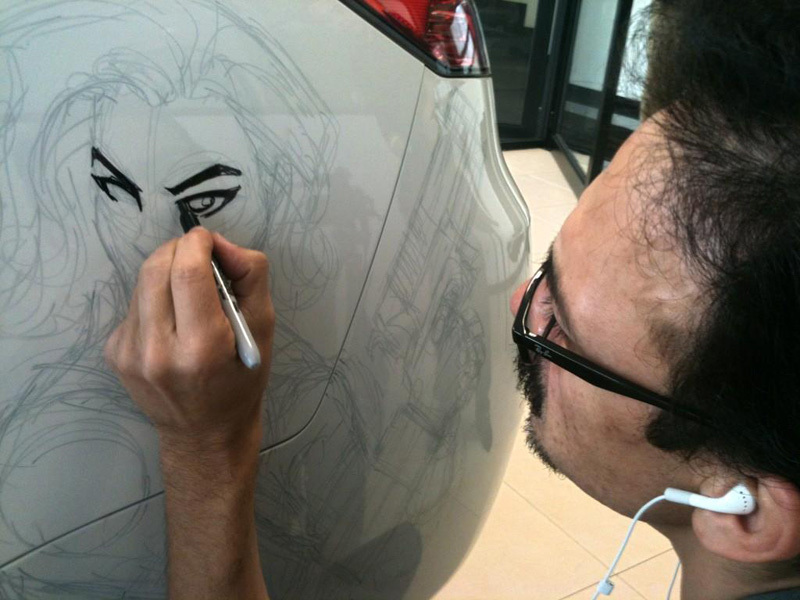 Working from an Acura Mexico dealership, Humberto spent the past few days applying his creative touch to the vehicle’s exterior. 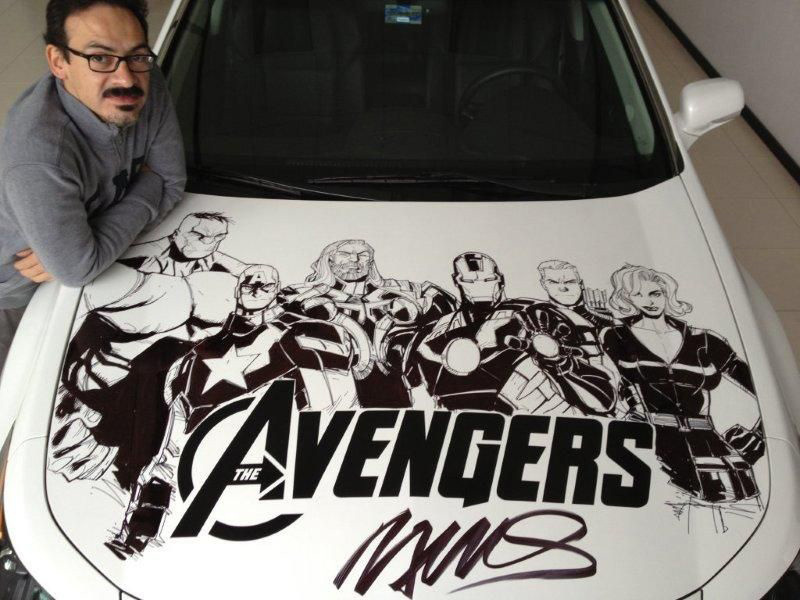 With Humberto’s distinct artistic style, the black “inked” characters look amazing stretched across the sides and on the front hood of the white Acura TL. 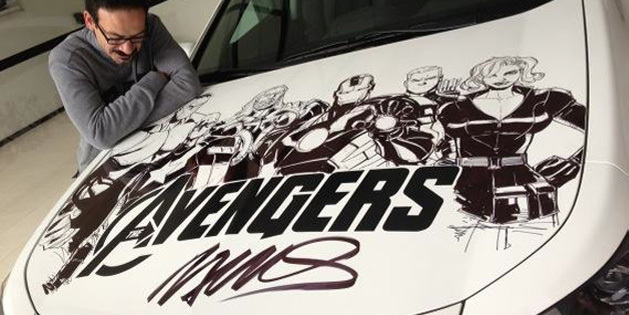 Hopefully there will be additional info and photos to come, but if you’re looking for a better view of the artwork, check out the video below.